Am I Branching Out? Or Going Out on a Limb? I dunno, but I'm going to try to do something new every day this year! America's Test Kitchen Rice and Pasta Pilaf -or- Home Made Rice-A-Roni! Purple Artichokes? Interesting, but How Do They Taste? You expect me to believe you've never eaten Funyuns? It is amazing how many lemons even one little potted Meyer lemon tree can crank out. There are blossoms on it continuously, providing a non-stop supply of my favorite floral scent. Heavenly! This tree keeps me in need of recipes to use up all of the lemons, and a quick Pinterest search turned up one calling for the entire lemon- score! A great treat to bake on a rare rainy day in the Southland. 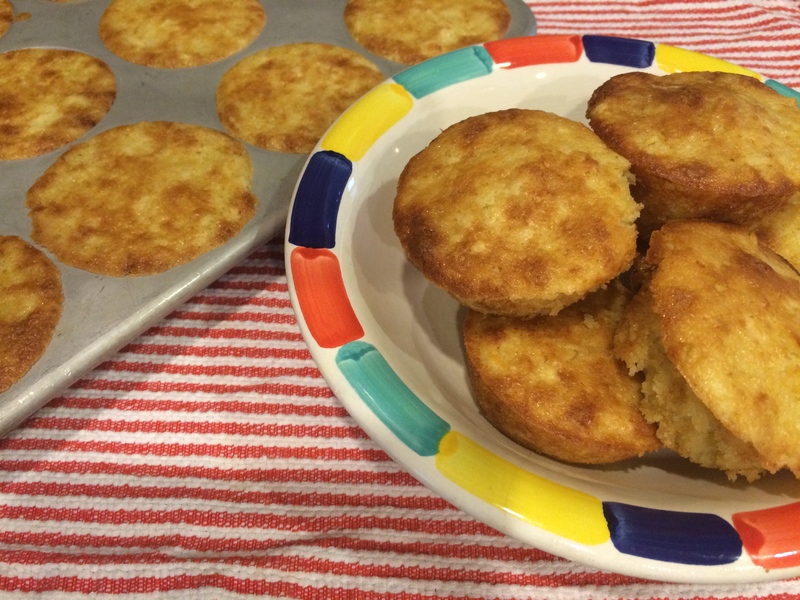 At first, I wondered why the blogger went with photos of this batch of her muffins… they turned out so flat. Then I made her same recipe and got the same results. It has to be all of the acid from the whole lemons. Here’s the finished muffins! 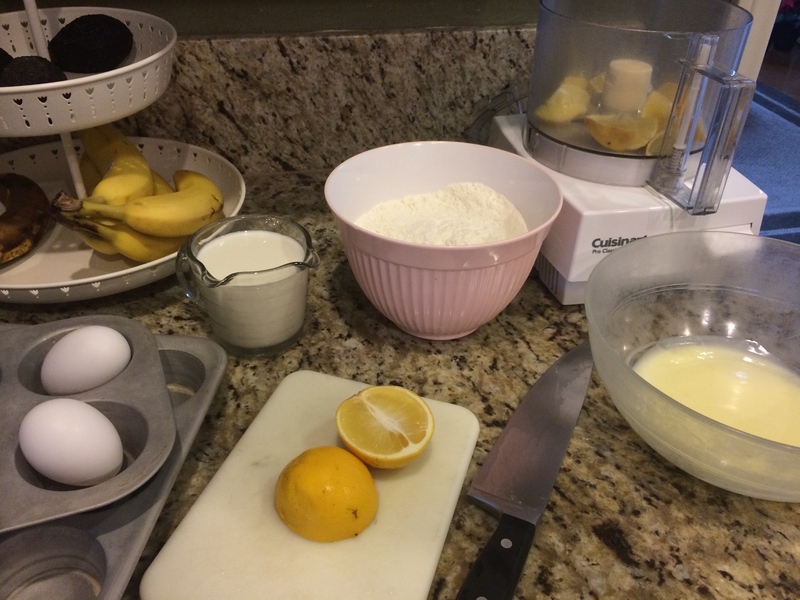 They taste great, and I will be using this recipe again- I will monkey with the flour and levening ratios, and the 1 teaspoon of salt called for is too much, in my opinion, but great overall!